He published his first mystery novel, The Trigger Episode, in 2007. Subsequently, writing as Richard Castle, he authored seven more crime novels, all of which became New York Times Bestsellers. He’s an Emmy – and Writer’s Guild of America – nominated TV writer and producer, having written and produced Night Court, Parker Lewis Can’t Lose, Dave’s World, Grace Under Fire, Cosby, Whoopi, and Nurse Jackie. 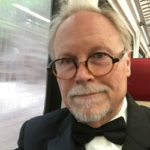 He’s a former board member of the Mystery Writers of America, New York Chapter, he lives in Connecticut, where his home is his castle. Listen to “TOM STRAW – PDI-2018 Adventure #7” on Spreaker.